Race toward justice with this board book shaped like Catboy’s Cat-Car with wheels that really move! To the cat car, everyone, it’s time for super cat speed! PJ Masks are on their way, into the night to save the day! Kids will love racing around with this interactive board book that includes moveable wheels to really make the Cat-Car go! 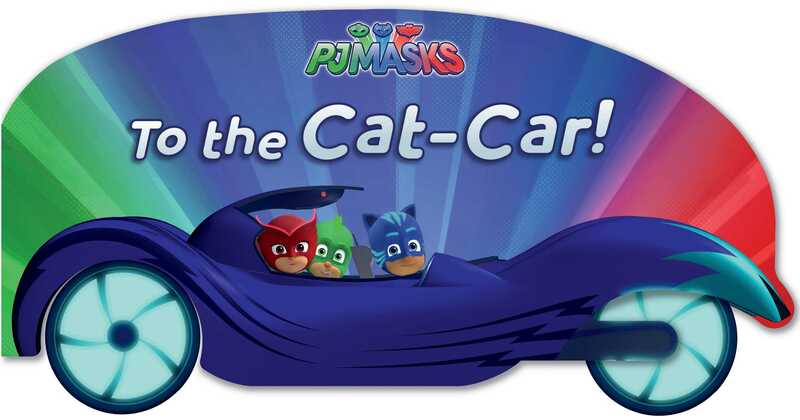 Book Cover Image (jpg): To the Cat-Car!